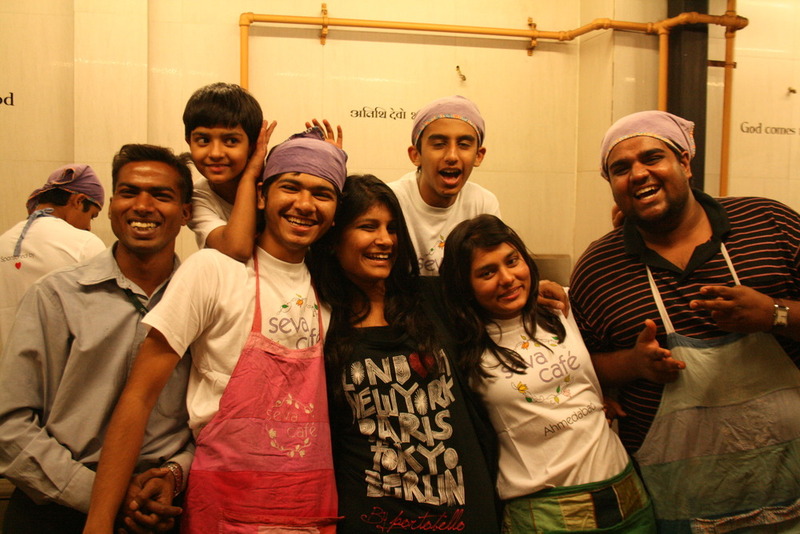 Seva Cafe is an initiative for selfless and humble service and the feeling of joy which it spreads is amazing. Seva Cafe works on the principle of ‘Atithi Devo Bhava’ (Guest is God) and ‘Love All Serve All’ the oldest Indian saying which for the first time is apt for a Cafe. It is one thing, which is not easy to believe in any part of the world. I myself thought I was being fooled around by my buddies but it is true. 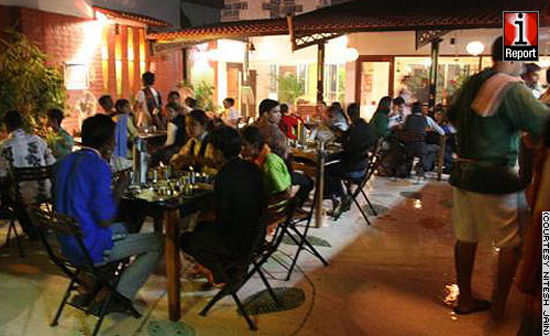 Seva itself means Service, and the customer at Seva Cafe is viewed not as a person with loads of money but is viewed as the part of the Seva Cafe family. The meals at Seva Cafe is prepared and served by a reticently paid staff (mostly graduates from Manav Sadhana’s Earn N Learn programme) and anyone and everyone can volunteer and they become the part of the family. When you enjoy your meal at Seva Cafe and ask for a bill you will be surprised to know that the bill is already paid, you enjoy a ‘generous gift ‘by the customers who have paid before, so it is upon you whether you want to pay for it, or just plainly leave. I know Ahmedabadis would love to savour this fact but I have news that people do pay and nobody leaves without paying. 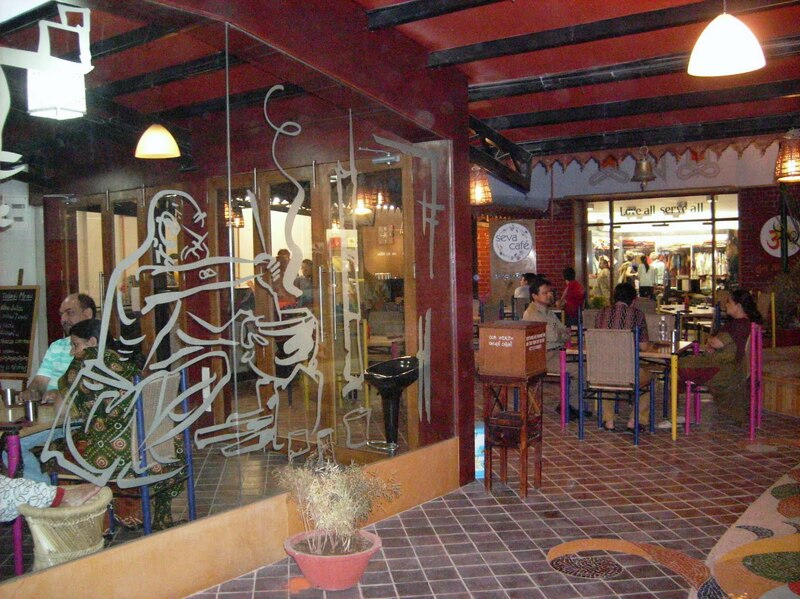 The entire Seva Cafe family including the staff, the guests and volunteers leave this place with a deep sense of joy, whether it is the joy of giving, the joy of cooking or just plainly feeling good by the generous atmosphere of this place. The costs and income (profit of course) there is no loss at all (I am not talking about monetary loss) and the profit is used to serve more and more people at Seva Cafe. Seva Cafe is open from Thursdays to Sundays only from 7 to 10 pm; I think this is because more people tend to volunteer on the weekends. I suggest one day this limit will increase, and you should come and help here instead of going to other cafes and restaurants and disrespecting the waiters. Come here, be a waiter once and then it will be a total life changer for you. This idea can be developed in any city, any country where Love prevails and a bunch of enthusiastic people who are ready to sacrifice a little for a better tomorrow. I am volunteering (cooking) tonight at Seva Cafe and proud to do so, when is your time Ahmedabad? Seva Cafe rocks ! !